Back in 2007 I made a goal to send a birthday card to everyone in my family. It took some organization, lots of stamps and lots and lots of Hallmark cards. Like a lot! Every Tia, Tio, Cousin, grandparent got a birthday card from me. This little challenge was a lot of work and completely worth it. 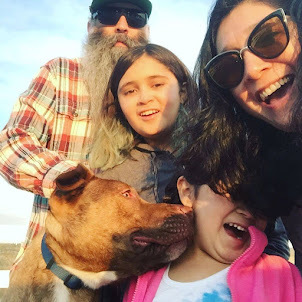 It gave me a chance to send a little message to each and every member of my family. To tell them with pen to paper how much they mean to me, how special they are, the things I like about them and most importantly, that I love them. That same year my family was rocked when my cousin Roman passed away. We were reminded how important it is to tell each other how we feel because, as the saying goes, tomorrow is not promised. Knowing that I had told each and every person in my family that I loved them helped me get through a very hard time. I only did this challenge during 2007. Since then it seems like every member of my family has an email, Facebook or Instagram. These days people send each other greetings with an e-card or by writing on their "wall". I know that I rely on my little reminders on social media to remember to leave a quick note for someone. But sending a greeting card, made out of paper, like in the mail, will always mean so much more than a few words on a "wall". Plus, how much fun is it to browse the greeting card aisle looking for the perfect card? 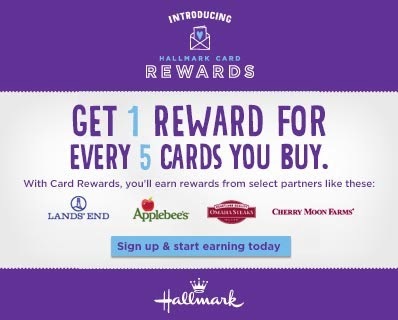 To make card buying even better Hallmark is introducing The Hallmark Card Rewards Program. By signing up for this program you earn rewards for every 5 individual cards you buy. (sorry boxed cards don't qualify for rewards) Finding Hallmark cards is easy, they are in over 30,000 grocery, drug store, and supercenters across America! And if your family is as big as mine, you will be earning rewards like crazy! Rewards include great things like gift cards from places like Starbucks, Nike, Applebee's, Lands End, Omaha Steaks and more! You can also earn discounts, and coupons for $1.00 off. Signing up is easy. Click Here to sign up. Then you can download the mobile app to scan the barcodes on the back of all the Hallmark cards you purchase to start earning rewards.